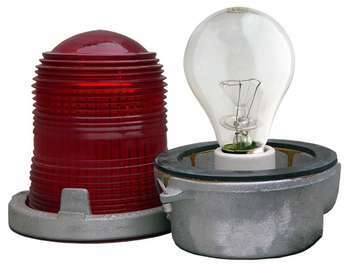 Our 116 Watt Task-Master™ Obstruction lamps are the perfect companion to our Task-Master™ Code Beacon lamps. Made with durable materials and the same rigourous quality as all our Task-Master™ Code Beacon bulbs, they're bright, dependable, and long lasting. And with a life-rating of 8,000 maintenance-free hours, you'll save on maintenance and replacement costs, as well as the number of bulb changing operations done at hazardous heights. Made of our high-quality clear glass means they won't cloud up, and the rugged tungsten filament shrugs off wind vibration and shock that would destroy ordinary filaments. 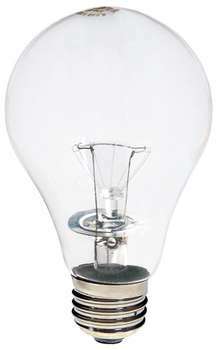 The medium nickel-plated brass base won't corrode or "freeze" in the socket, even after thousands of hours of use. H&H Task-Master™ Obstruction lamps are the only choice for air traffic hazards: cell towers, radio and TV towers, water towers, microwave towers, building towers, hospitals, bridges, power lines, power plants, and wherever lives depend on light and safety. 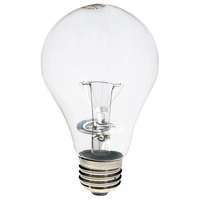 Krypton allows the incandescent filament to burn at a higher temperature and for a longer period of time resulting in more light and a longer life. Supported at nine different points, the rugged C-9 tungsten filament easily withstands physical shock and vibration that would shatter ordinary filaments. The polished aluminum reflector disk redirects light and protects the base from intense heat. The nickel-plated brass base won't corrode or "freeze" in the socket, even after thousands of hours of use.